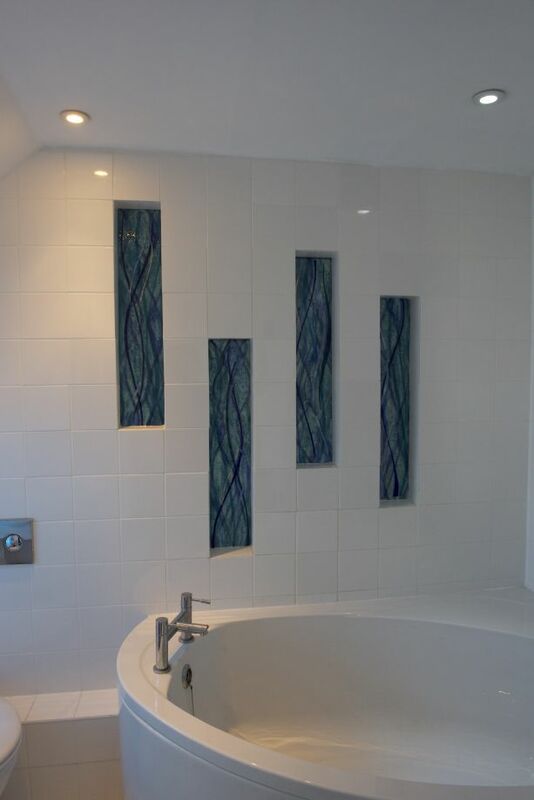 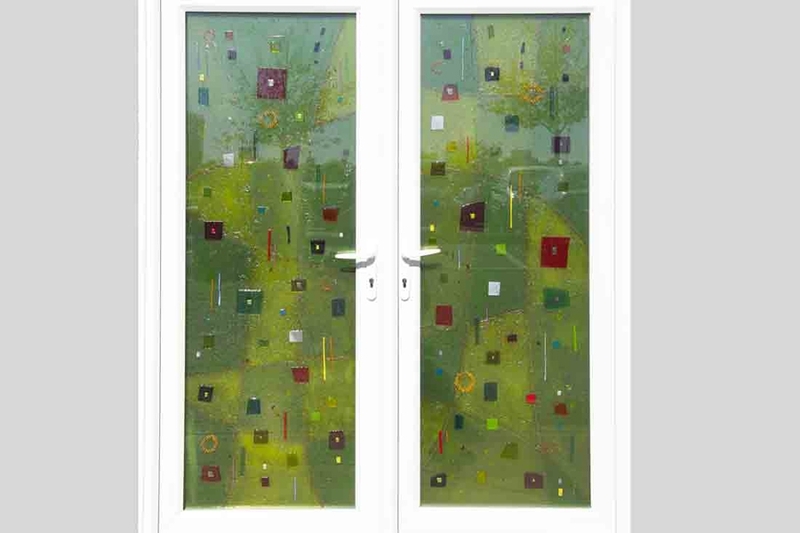 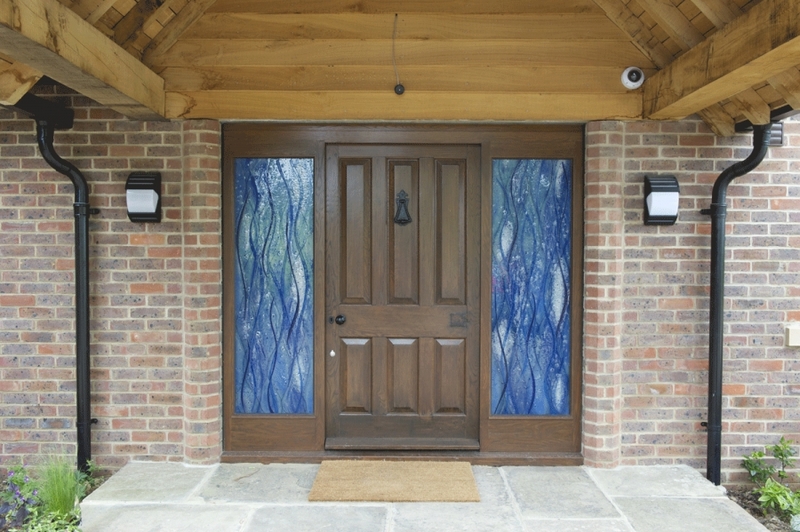 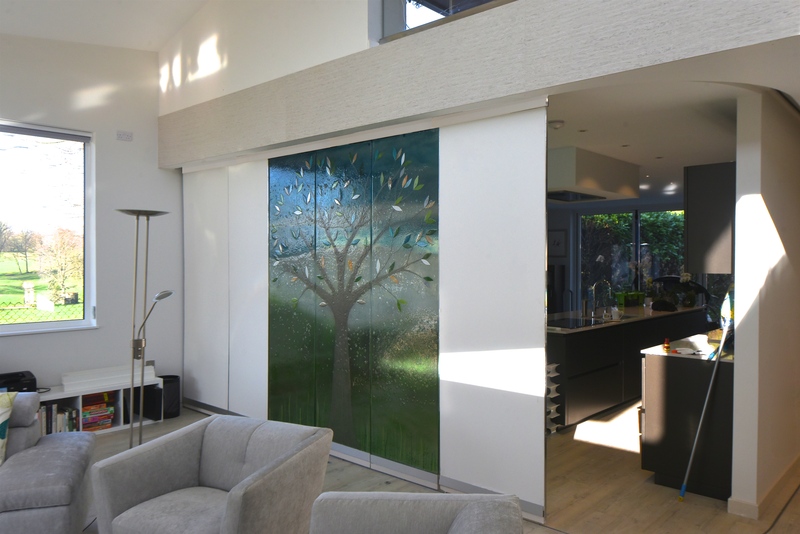 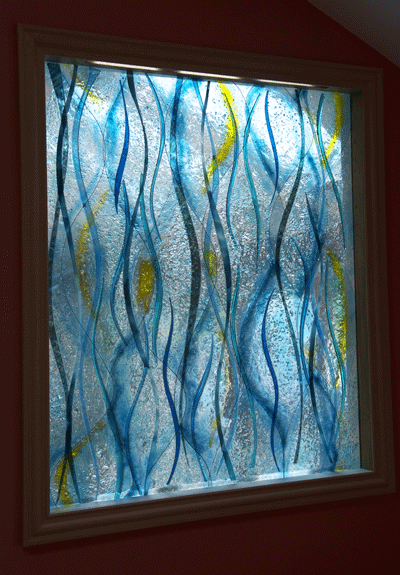 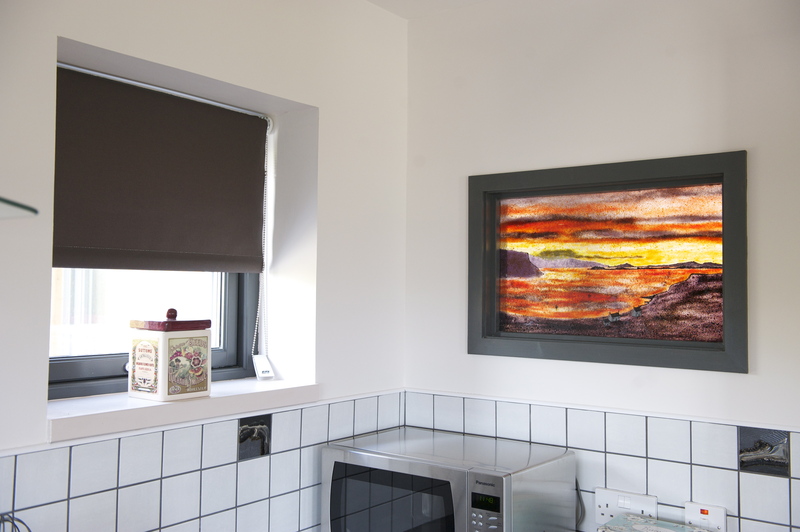 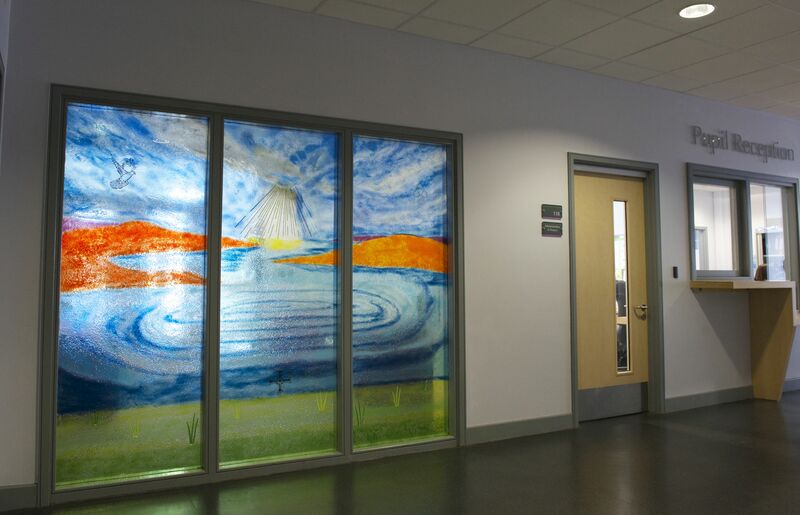 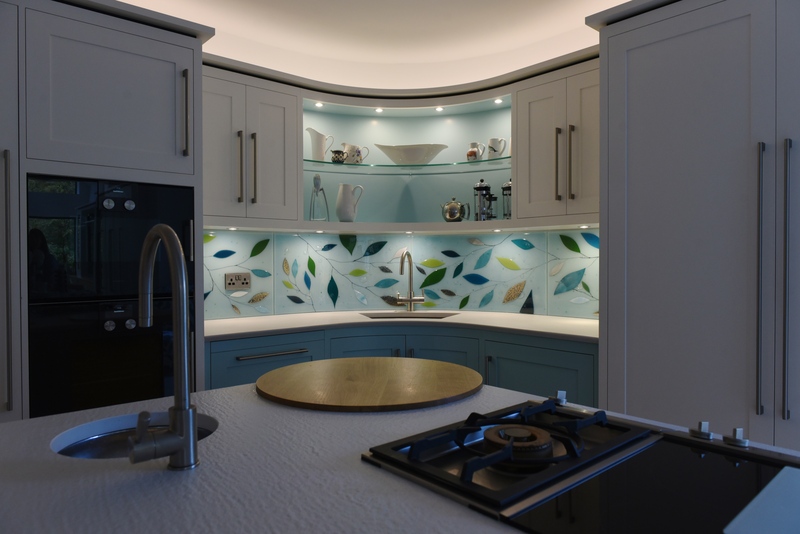 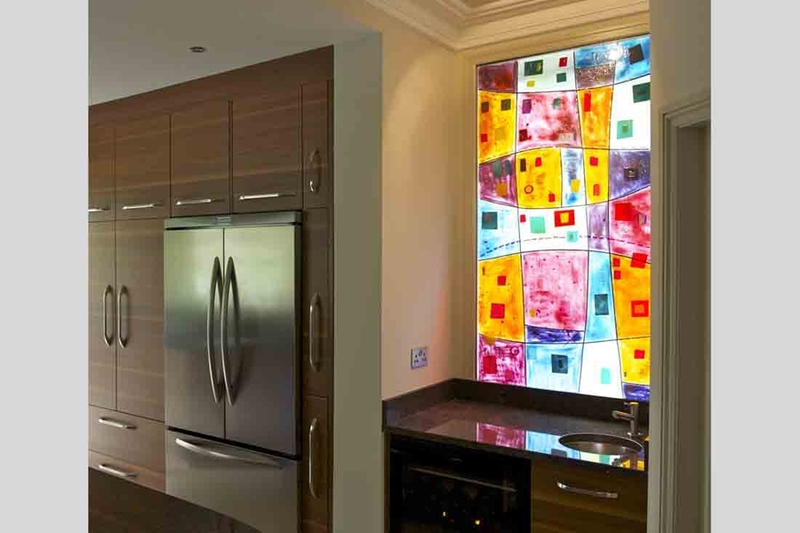 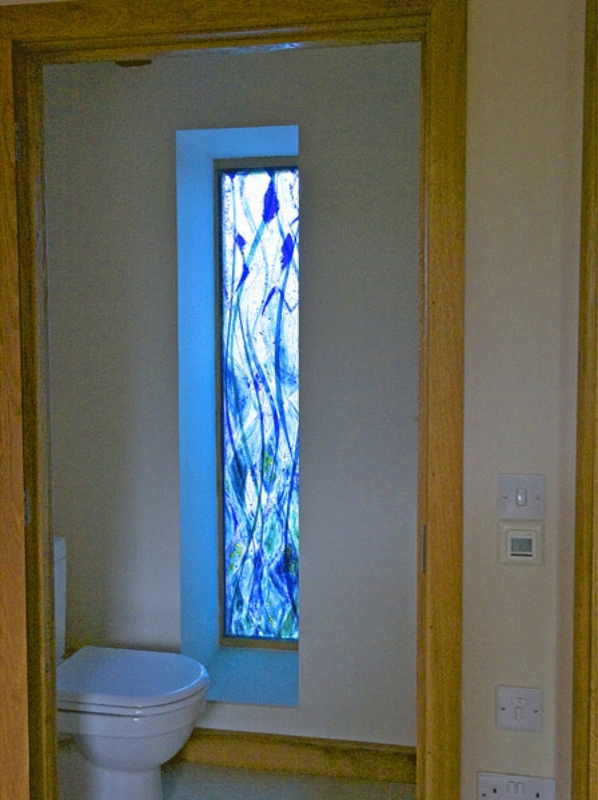 This bespoke transparent glass art panel adds the wow factor to both the rooms it divides showing the contrasting results of front lighting fused glass to back lighting it. 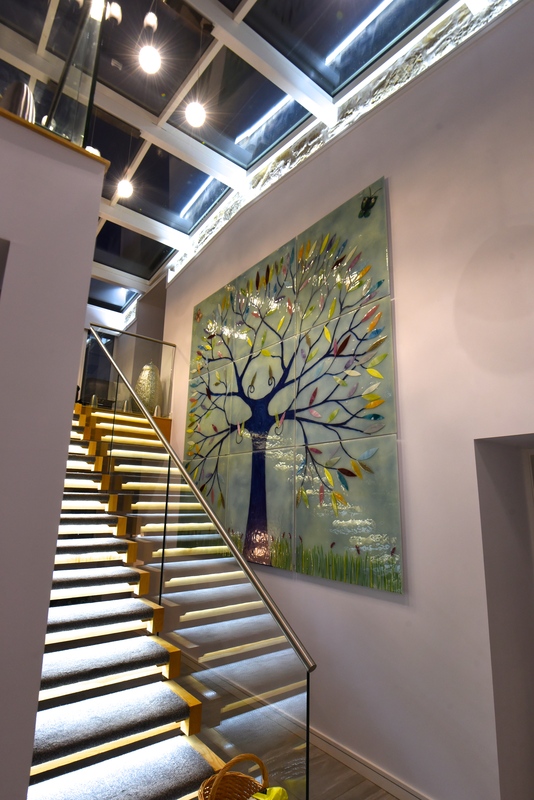 In the living room it is an original glass art piece and in the entrance hall the added effect of a dramatic light source. 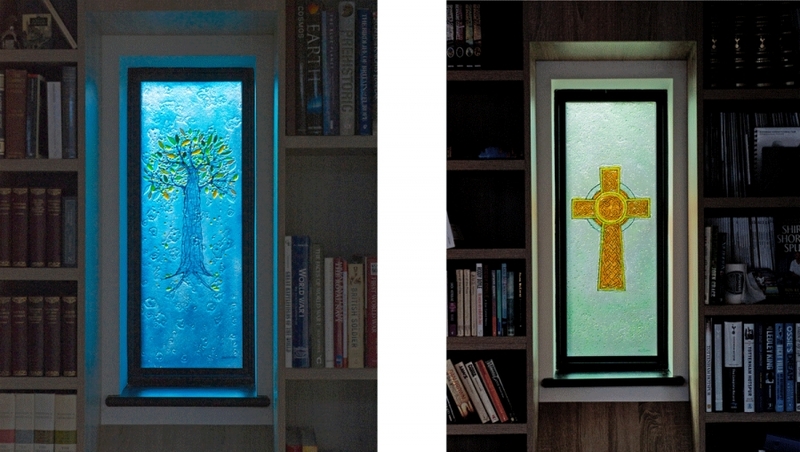 In the evening the internal lights will give another variation to its stained glass appearance. 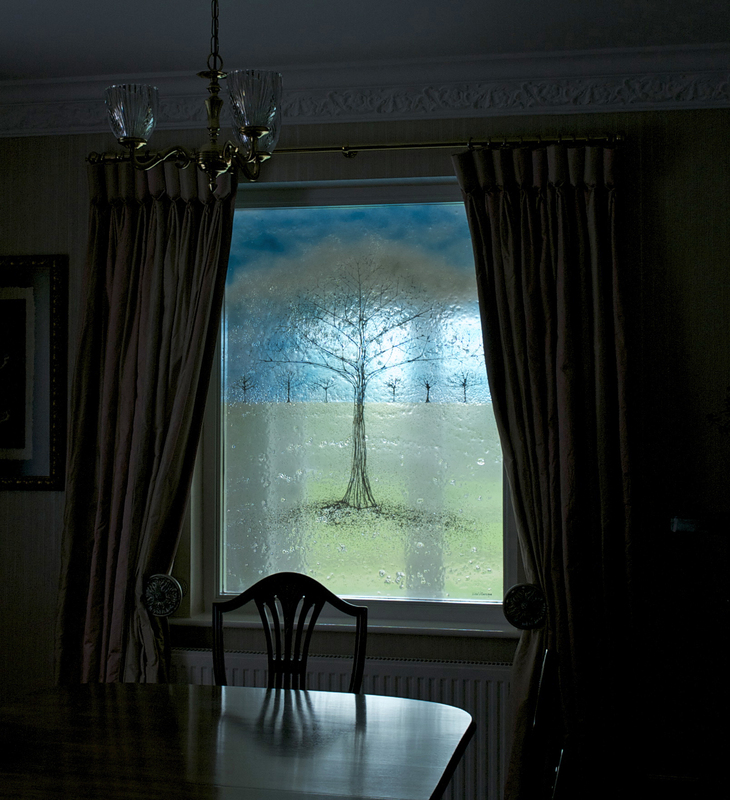 For safety this piece has been laminated.